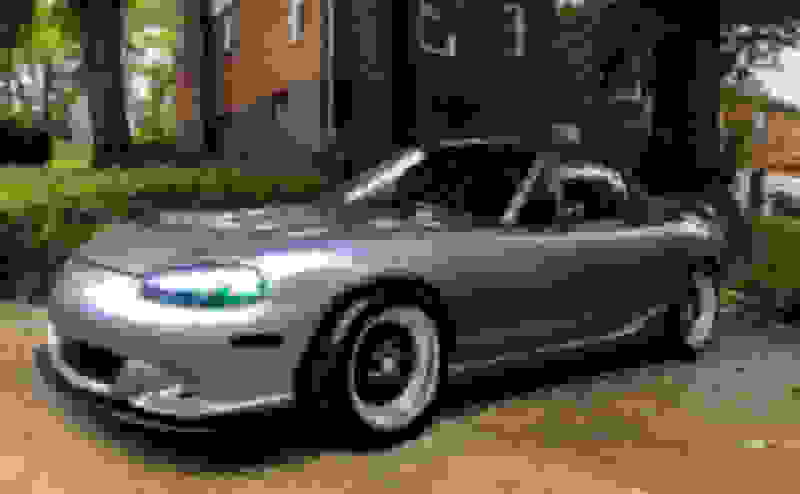 WTB: 04-05 TiG MSM, eastern half of US - Miata Turbo Forum - Boost cars, acquire cats. Subject line says most of it, but after having a half dozen Miatas, I'm missing driving one, so am looking for a clean example of an '04 or '05 TiG MSM. Open to completely stock, although I wont pay as if it's collectible, as it's not, and let's face it, those 17" Racing Harts look pretty, but I'd prefer lighter 15" rims with the 17s sitting in plastic in the garage for if/when I sell it later. The car also performs better with at least an intake and downpipe. Ideal car listed below, but open to from stock to modified. TI grey only. The reds and oranges are beautiful, but I get too many tickets in red cars and I want TIG. 15" light wheels, no preference on color, really. Black or aluminum matter or polished all look good here. Interior - mixed. Prefer the cloth seats w/red (or silver) inserts, but also prefer the GT cloth top, so TBD. Soft-top w/out rips and functioning. Indifferent on hardtop - OK as a bonus for winter but I don't 'need' one. So, what do you have? Location, miles, mods if any, asking $? 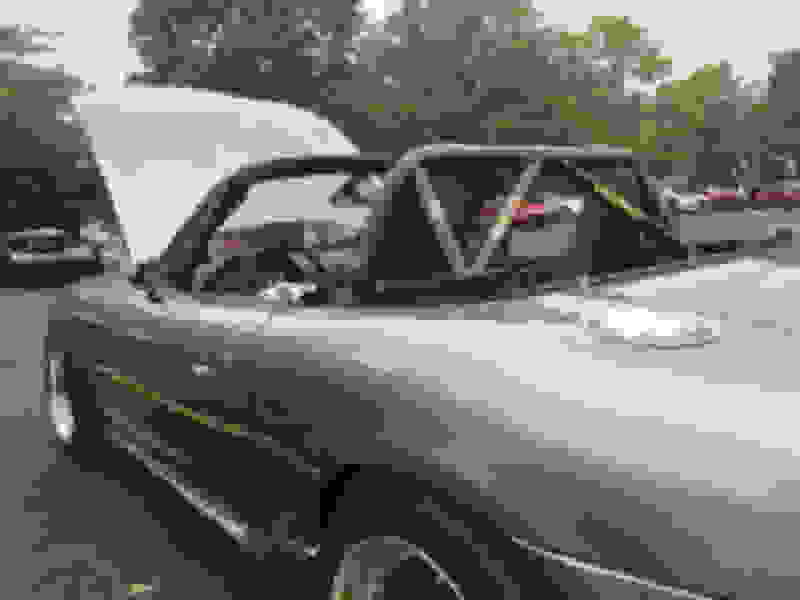 or buy a clean nb2 for 4k and with 6k in mods it will outperform an msm in every measurable way. Yah, I know it RE: pricing, but have to deal with ODB2 yearly here, and I do really like the TiG + black/red, etc. The 2002SE color is nice, but I don't get that rotten orange interior in it. I'd consider something like a Shinsen turbo (without the side plastic), but no Torsen unless someone's added it, and again - OBD2 mess. ODB2 need for connect at inspection doesn't go away until a car (in the future apparently, as 2018-1996 is 'only' 22 years..) 35 years, which is insane, but it's what it is. If there were such a thing as a competent interceptor or piggyback ECU for NBs, it'd open up options quite a bit here, but ... ... ... and god help me if I ever buy a 'new' (15YO? More?) Xede from Bell for the price of a MS3...just not seeing that happening (helped a friend through tuning his and numerous back and forths, plus have many 'don't fit' BEGI parts still laying around..). I'm OK with the pricing, as long as it's for a clean solid car. I got lucky and got one for a steal of $3300 plus $640 on dmv back fees. He was asking $6500. Needed a bunch of maintenance like full brakes and tires immediately. 103k miles and interior was cleann. Engine bay was filthy with dirt and debri but fluids and normal maintenance kept up on. I know this doesn't really help you, but deals are out there! Last edited by brainzata; 09-09-2018 at 02:13 PM. I got lucky and got one for a steal of $3300 plus $640 on dmv back fees. He was asking $6500. Needed a bunch of maintenance like full brakes and tires immediately. 103k miles and interior was. I know this doesn't really help you, but deals are out there! Quite the deal. How the heck did you get him to do almost half?!? I am familiar with the cars enough. Was able to go through everything it needed, and while letting him understand neither of us knew how much the DMV back fees were actually going to be as the car wasn't registered for 4 years. He was in need of the money as well I believe. Definitely shopped at the right time! you got one hell of a deal. Baltimore , Maryland. I could be persuaded to part with mine for $12k , everything you are looking for. 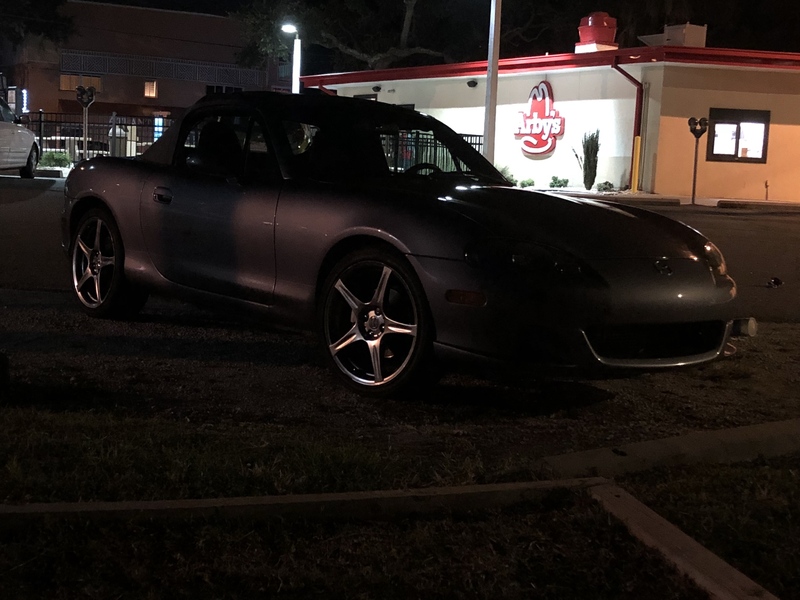 44k miles, fm little enchilada minus the boost controller, has a ms3pro runningvthe car at the moment, but the stock ecu is easy to swap back in (just did it for emissions a month ago), flatout suspension coilovers, 15” work wheels, miataroadster shifter, etc. it’s nothing crazy but super nice and well taken care of. It does have a bunch of artworks dewa interior stuff as well as a set of one off revlimiter gauges that may of may not be your taste. It's like watching a dating game show. We hae a love connection, lol. Could be - discussing offline. Of course, thanks to the forum, I now got to 'see' all his 'fun' in getting the MS running, realizing those wheels don't fit the Sport brakes without a spacer, etc. It's been tough to find a clean TiG MSM, let alone one with mods I want, so - will see. NBD. Trade wheels with someone. Waiting on some pics of rest of the car and details, and may well be making a road trip to go check it out. Sadly, still looking. Nice car, was going to buy, seller decided he wants to keep it, so - still looking. Saw one a few weeks ago. The second one seems like a reasonable deal, some decent parts on it, and comes with a hardtop. Have searches all over but seem to have a crap CL search. Saw the second one listed a while back but dropped from the radar while focusing on airbrush's as I thought we'd be closing that deal. First one is OK but not into the stripes or mileage. Second one may be worth a call, although have been trying to find <75k miles and not someone track car but may be worth a call. WTF is an FM driveshaft, and why? Meh, looking like HT only from the looks of the rollbar in the car...dammit. Last edited by rtp; 09-27-2018 at 09:51 PM. I doubt its a track car, it might have been to a track day or two, but no way its a track car, with regular tires, and oem radiator. I know for a fact the MSM WILL overheat at the track with oem radiator. i had one. about soft top, txt the owner, no way to see from the pics. Yeah, good catch - thinking auto-X vs road track, but amazing how many modified or 'heavy use' cars have OE rads on them. Already did swap messages and indeed the soft top's been deleted. Might consider putting a frame and top, but basically until then it makes the car a whole lot less desirable to me as a near DD. Got a message from a forum member with a family member selling what looks like a very clean, low mileage TiG, but their price is still thinking it's a 'collectible' car and is overpriced vs market and value to me by a few K. If nothing else, may ping back in another month once they see they're not getting 13K for a stock car. I saw a pristine one with 29K go for 10.9 which I was considering but someone local to them beat me to it. General price range is open, but expecting somewhere between 7-12K.